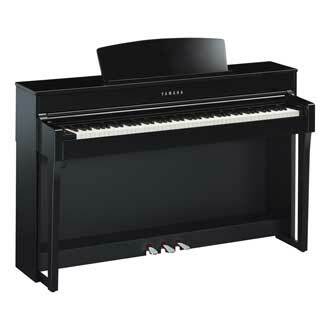 The Yamaha Clavinova CLP-645 digital piano delivers powerful sound and NWX Natural Wood hammer action keyboard for the response and feel of a grand piano. Including samples of the world-class Yamaha CFX and Bosendorfer Imperial concert pianos, the CLP-645 features a bi-amp speaker system for pristine detail, as well as Binaural CFX technology for an immersive headphone experience. Other features include Bluetooth audio, synthetic ebony and ivory keytops, and practice and recording functions.